Even though this podcast has been around a while, this is the first edition on the VOC Nation Radio Network. 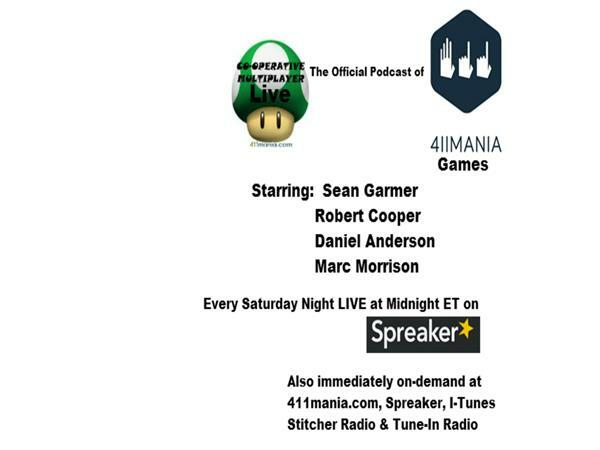 Welcome to the official 411mania.com Games Zone podcast, which is hosted by 411 Games staffers Sean Garmer and Marc Morrison and also feature's appearances from other staff members as well. We really appreciate the opportunity to be on VOC Nation and hope you enjoy the podcast. We will be coming to you each week via on-demand on Wednesday mornings at 9am. So, this week, Sean and Marc discuss the reveals of both Fallout 4 and XCOM 2. We also spend time wondering if the Nintendo NX rumors are true, the newest Silent Hills rumors being false, Toys to Life getting lots of news, can LEGO really compete with Minecraft and more. We also discuss what we are playing and if people really have a "right" to complain about the free games that come with Xbox Games for Gold and PS Plus.